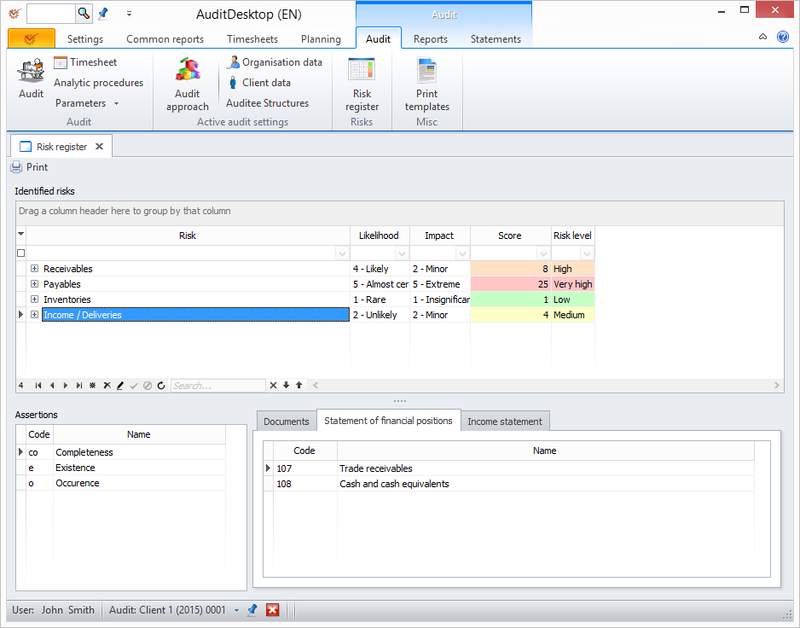 We are releasing an update for AuditDesktop - version 2.0.1. 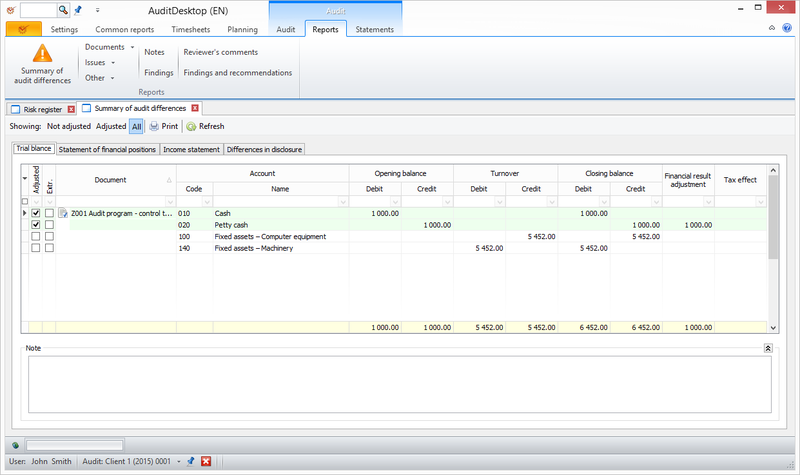 New columns in the timesheets: "to be invoiced" and "project/audit"
We are proud to announce the release of AuditDesktop version 2.0. After two years of hard work we finally release the second major version of our product and now we are ready to call it a total solution, uniting all the necessary tools to automate the audit process. 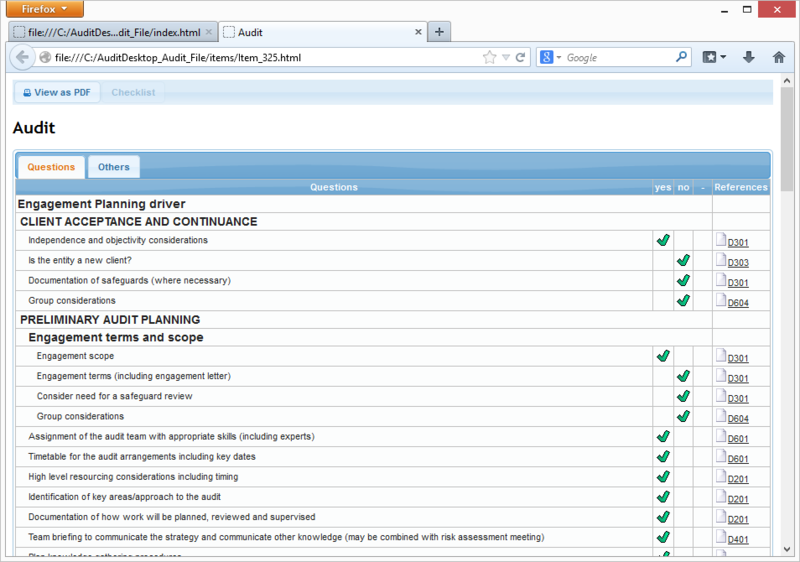 "AuditDeskop – IAE (Internal audit edition)" is specially tailored to the internal auditors' needs. 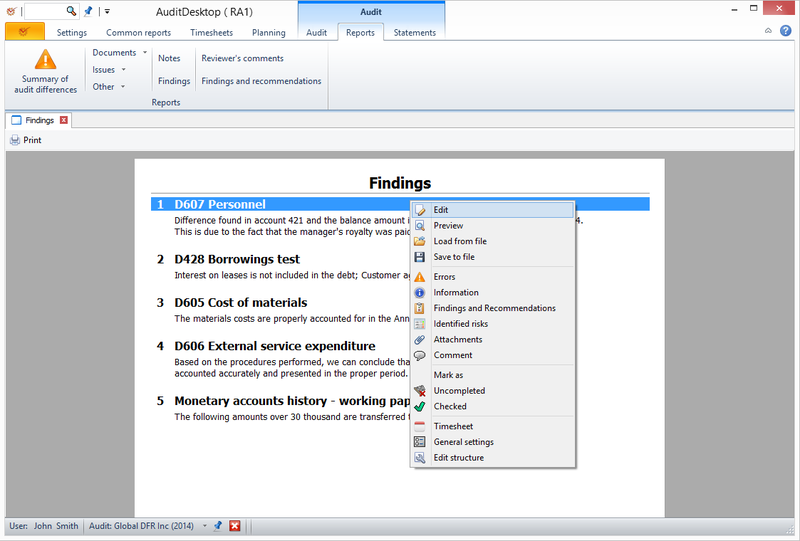 AuditDeskop – EAE now includes features such as risk assessment, determination of materiality and sampling. 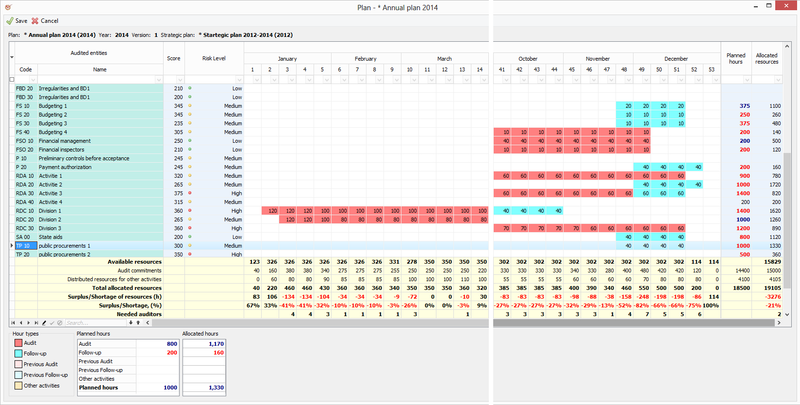 We have completely redesigned the whole software product to make it even more flexible and user friendly. For more information see the release notes. 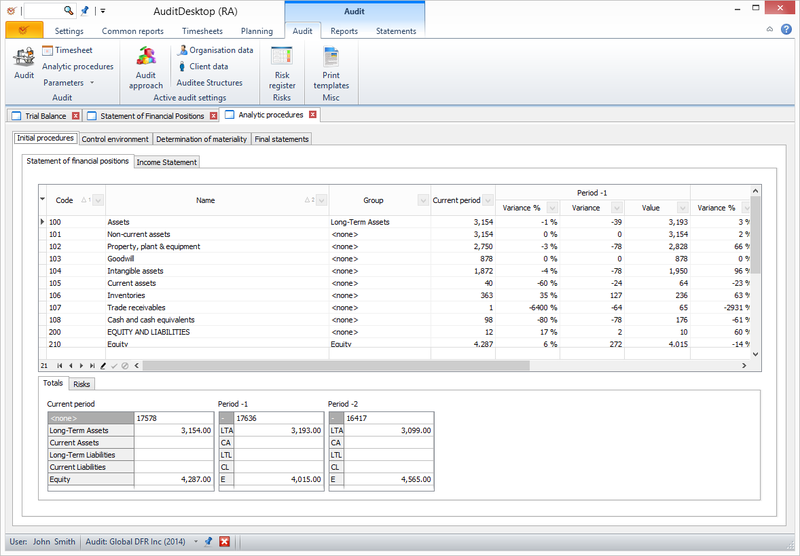 AuditDeskop – IAE, aside from the above mentioned features, includes tools for risk based strategic and annual planning, risk registry, automated audit reporting and many more. For more information see the release notes. 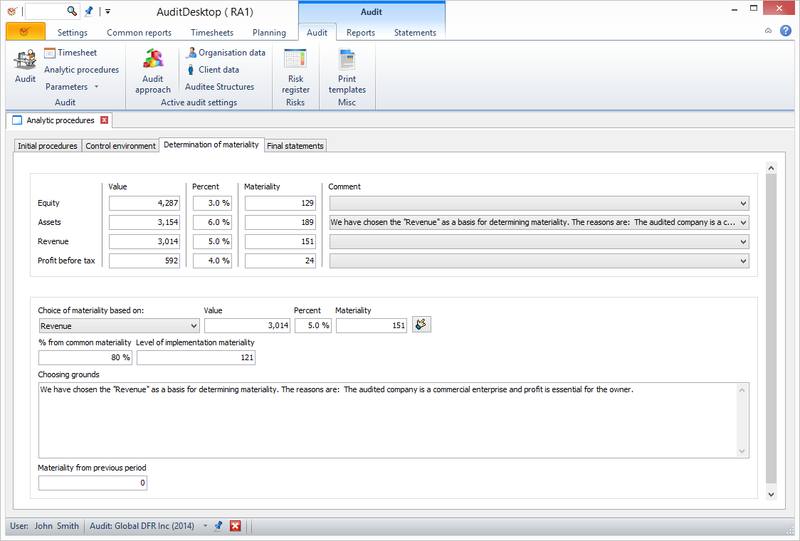 We are very pleased to announce the release of AuditDesktop version 1.2.10. 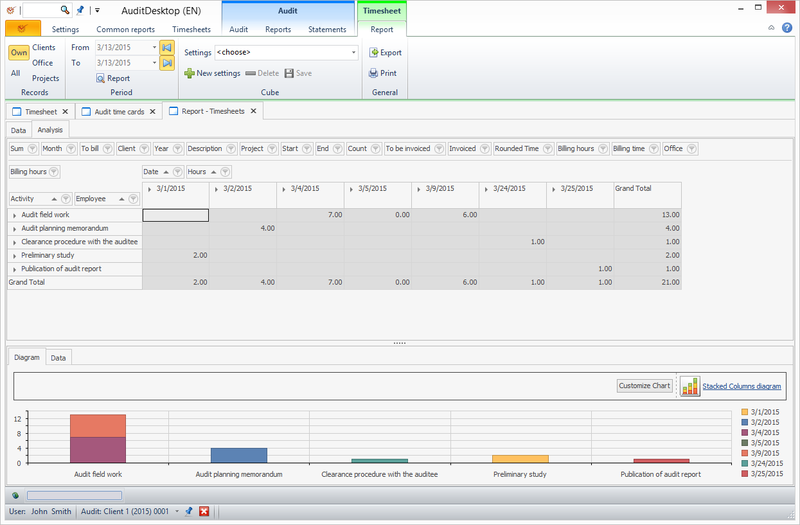 Previous "Print" button has been renamed to "View"
A new form for importing trial balances has been added. 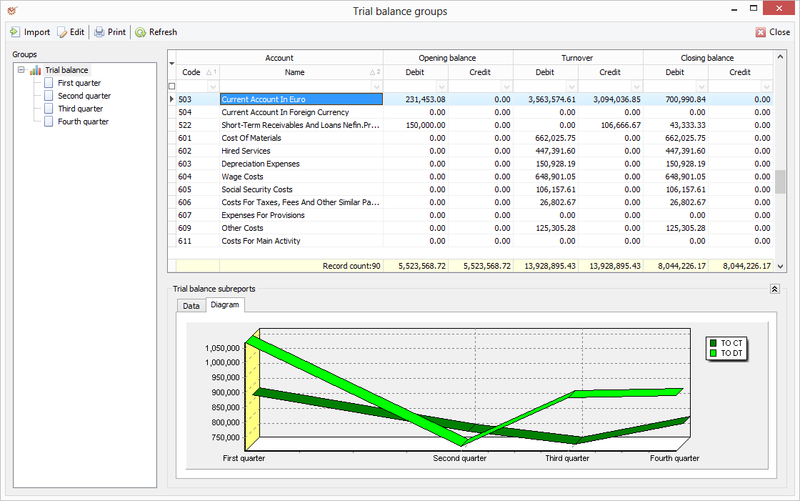 To open it press the "Import" button in the Trial balance and Group of trial balances windows. 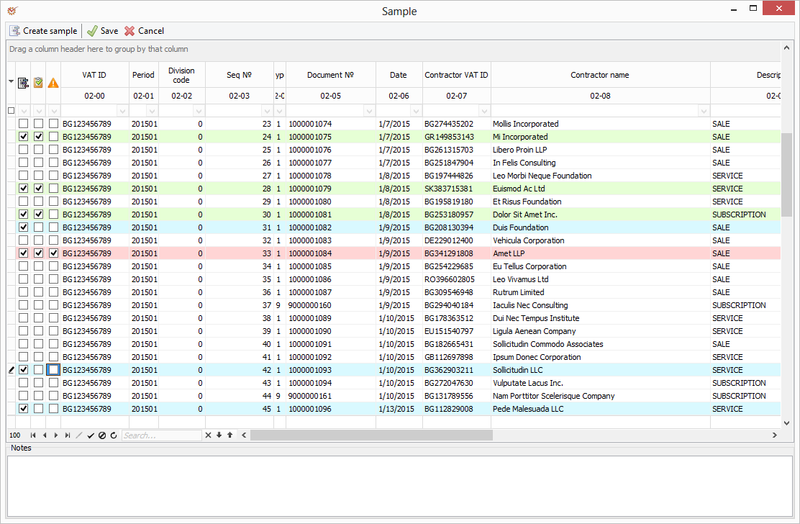 Update accounts - (User must have permissions to edit methods) accounts missing in the chart of accounts will be added automatically, without having to edit the audit method. Clear accounts - (User must have permissions to edit methods) clears all accounts prior to the import. 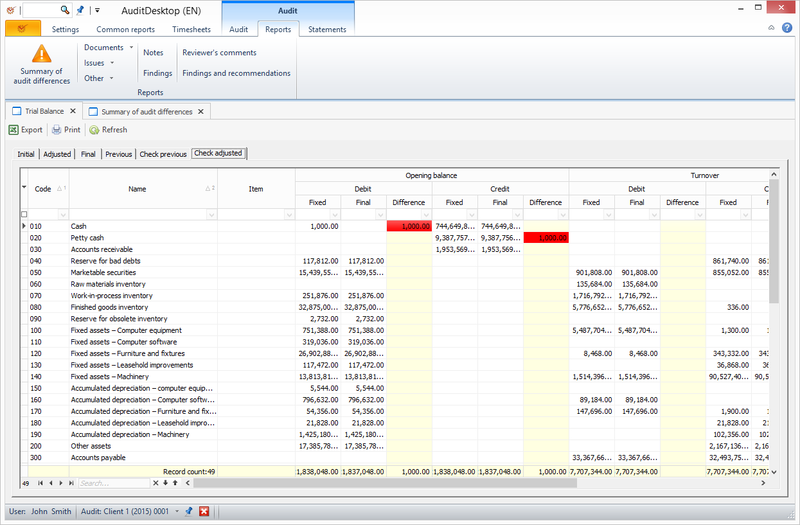 Warning: this will also delete all entered data in the trial balances. Group accounts – groups the accounts until the specified mark. When grouping, the balances will not be offset. 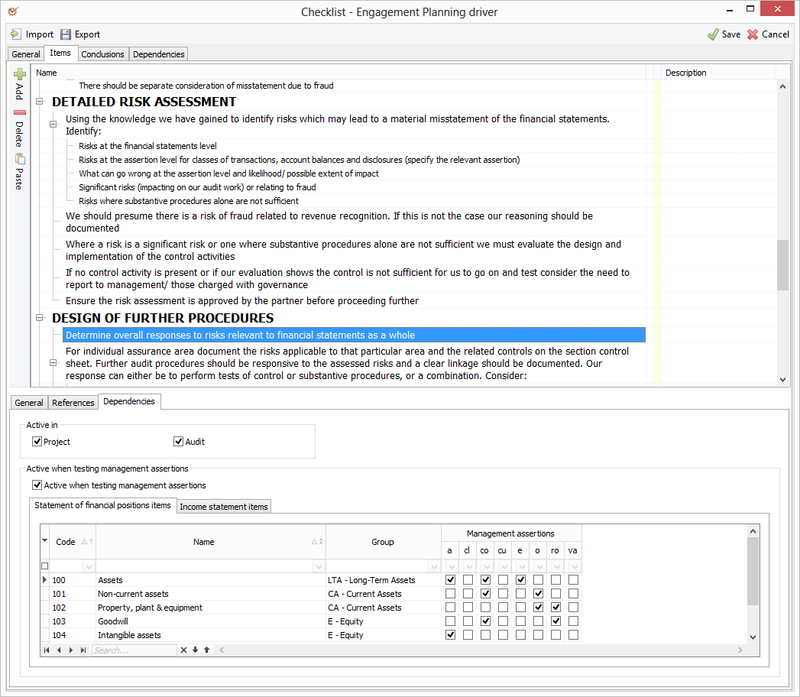 In the questionnaire, the question numbers followed by a period are taken as codes for the questions. 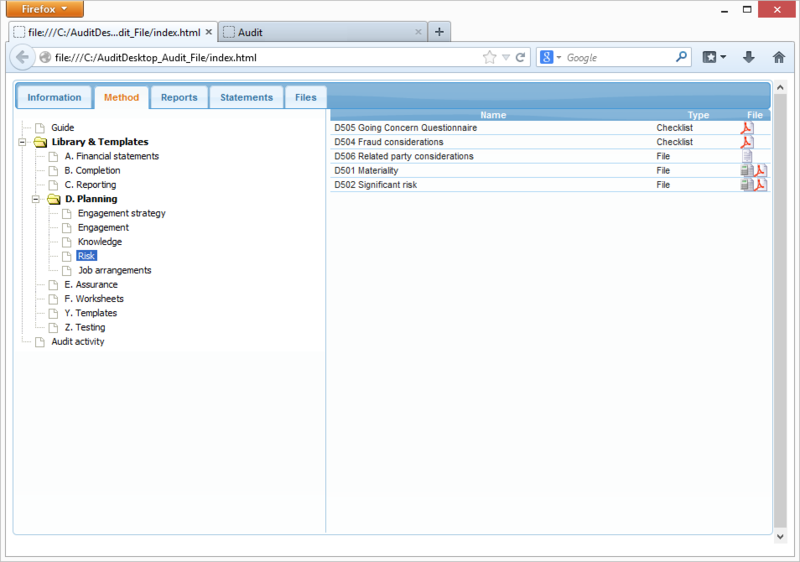 - The "Objectives" tab has been renamed to "Description"
We are very proud to announce that the web site for our latest product AuditDesktop is now fully functional. You can find detailed information about the product features and you can also download a free demo version and experience them firsthand. 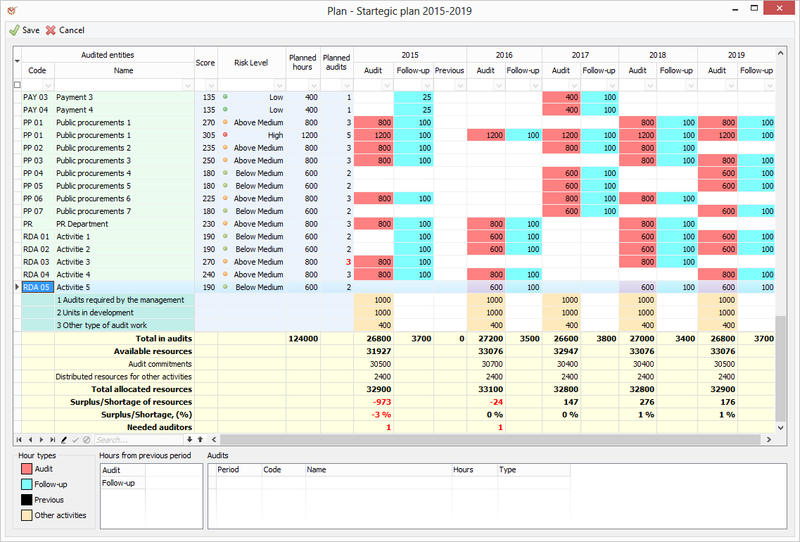 Our goal is to create "The ultimate audit software" - affordable, powerful and efficient. We realize that we still have a long way to go before we reach our final goal and before being able actually to call it "The ultimate". However, the product, even in its current stage, still provides a great set of features and a lot of advantages. 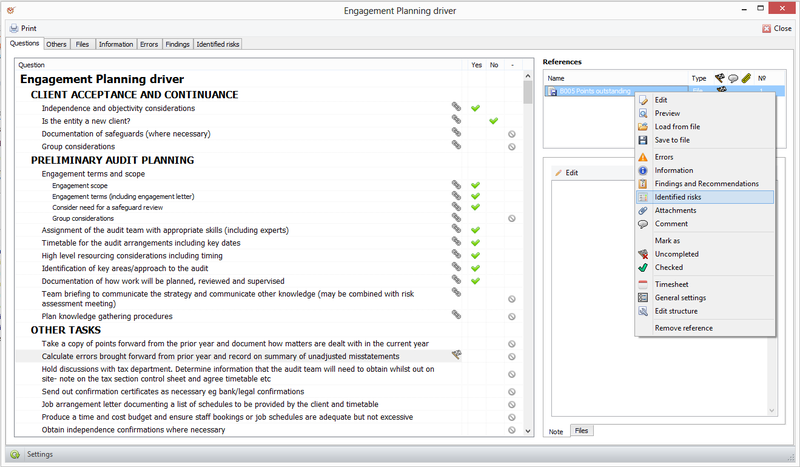 We do believe that this is only the begging with a lot of new functionality to follow - like for example Risks Assessment and Planning modules on which we are currently working and expect to release by mid-2013. If you like the software please buy it. 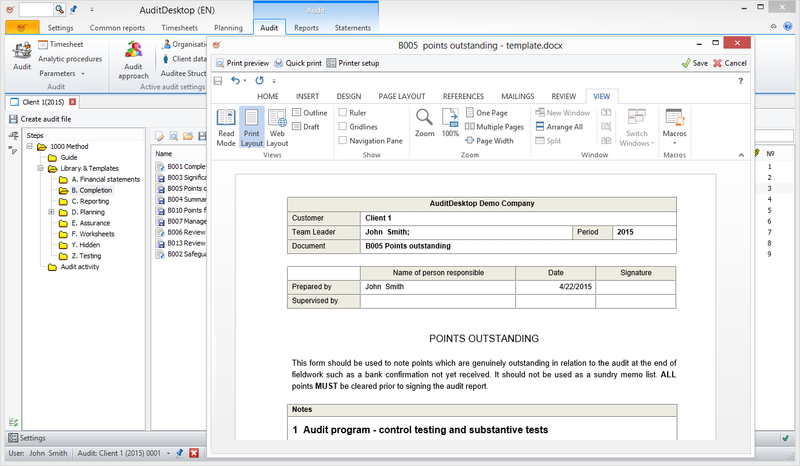 By purchasing it you not only buy a license for it, but you also invest in its further development and transformation into "The ultimate" auditing software. We are going to invest all income from purchases back into the project. Every purchased license also includes one year subscription for new versions and updates. 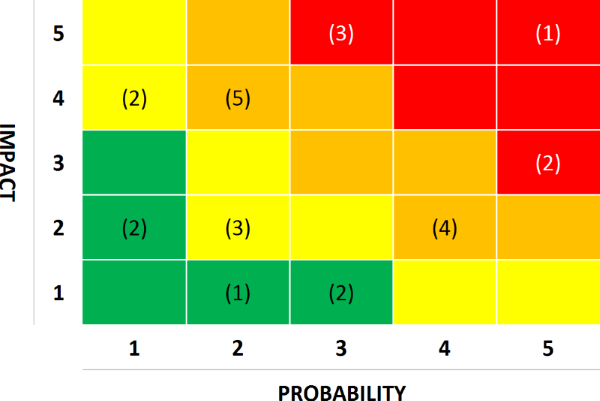 Besides, if you purchase the product now, your subscription period will only begin from the moment we release the Planning and Risk Assessment modules. Until then all updates will be free for all valid license holders. Good luck to the team! I believe that with their and with your help, we will be able to reach our goals very soon.